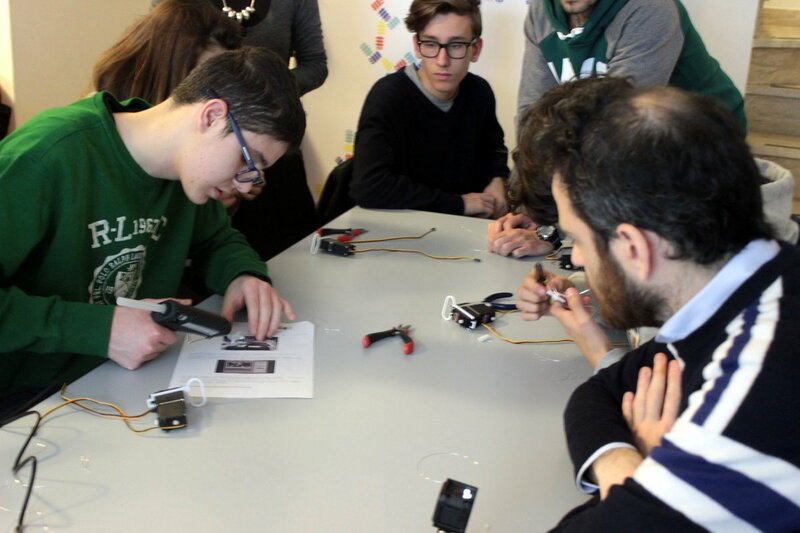 Durante questo bellissimo laboratorio, che si è tenuto il 9 Gennaio 2016, i ragazzi hanno costruito un robot, chiamato BoBeBo (Bottle Beetle Bot), che si muove grazie a due motori ed avverte la presenza di ostacoli sul suo percorso. 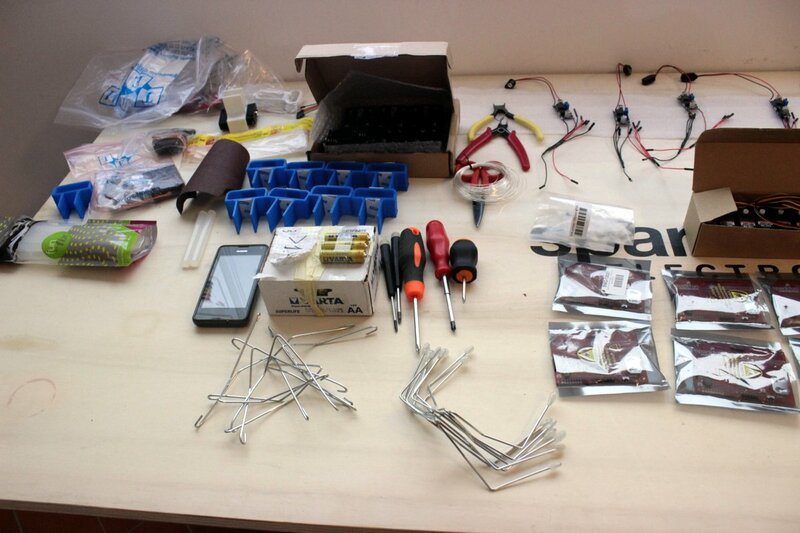 Per realizzare il kit, abbiamo riprogrammato delle schede che la SparkFun ci ha donato in passato, abbiamo stampato dei supporti in plastica per facilitare il montaggio e per le zampe abbiamo usato delle stampelle da lavanderia. 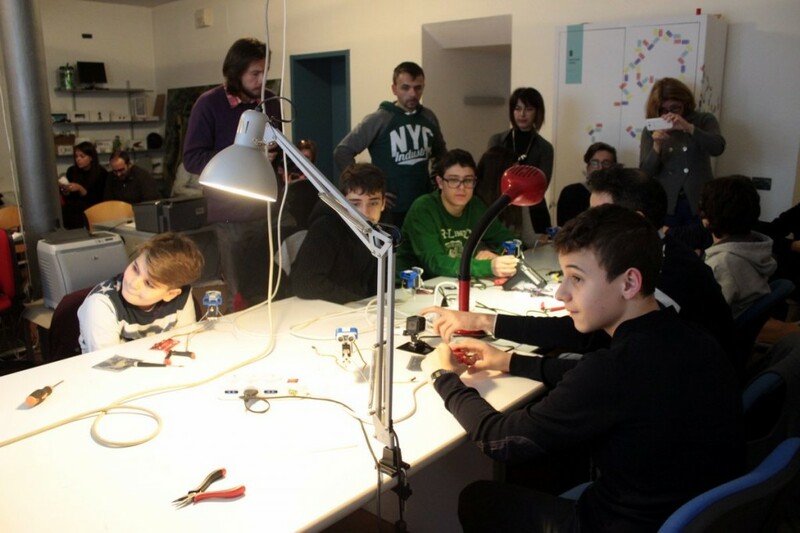 Il laboratorio andrà comunque ripetuto per via delle tante persone che sono rimaste in lista di attesa. 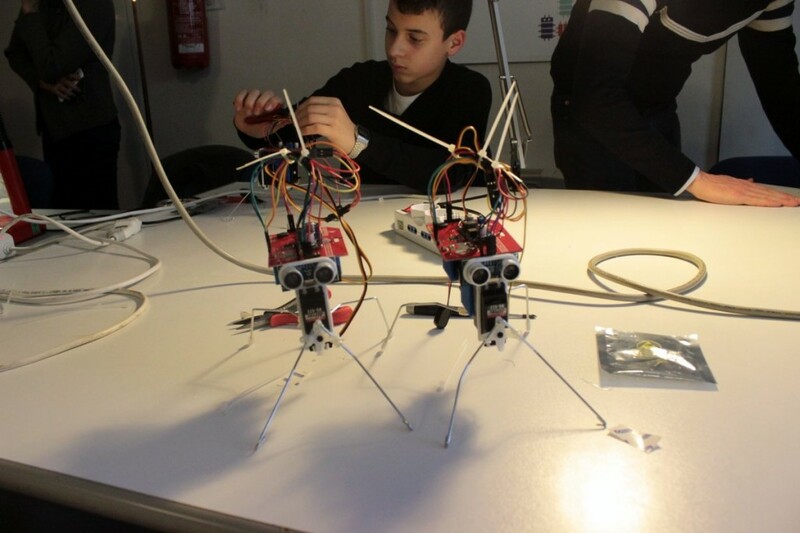 During this nice workshop, which was held on January 9th, 2016, the kids built little robots like the one we called BoBeBo (Bottle Beetle Bot): it can walk thanks to two servos and can detect the presence of obstacles in its path. 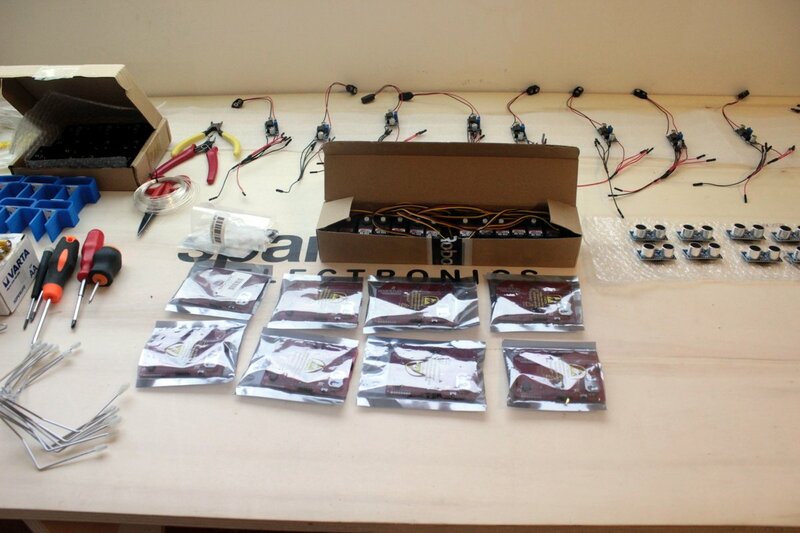 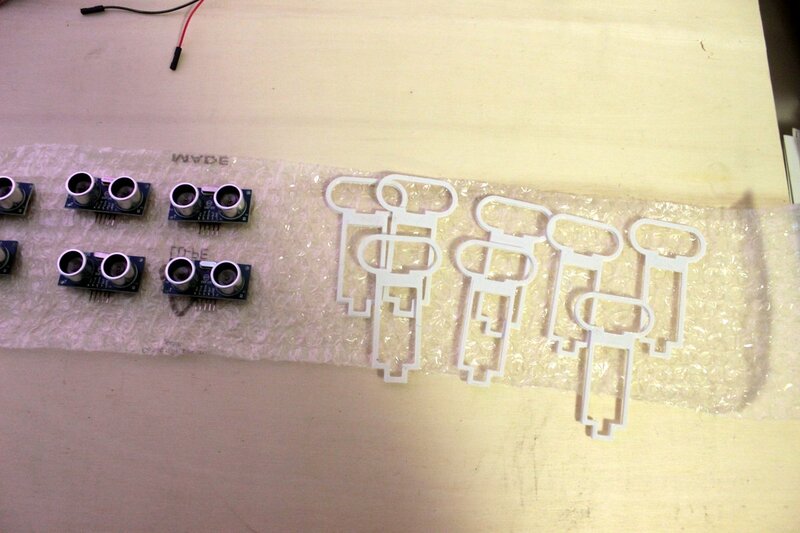 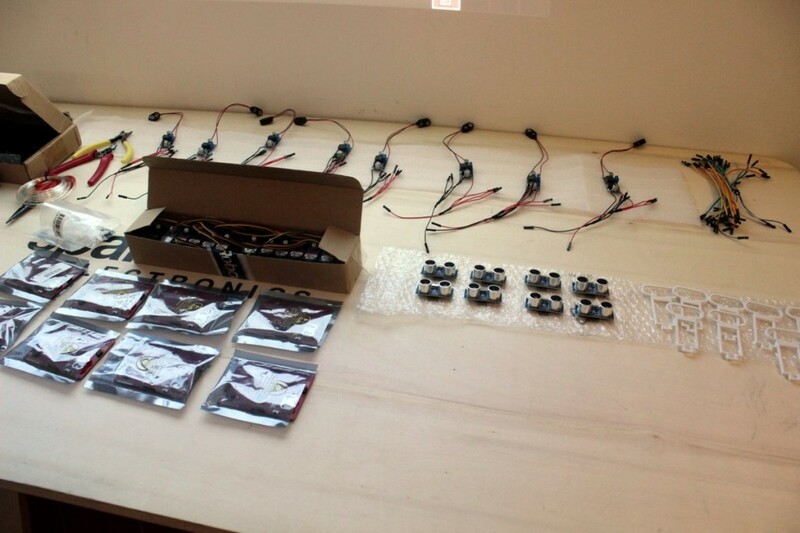 We put together a kit of components that included the cards SparkFun gave us some time ago, which we had reprogrammed for the purpose, 3D printed supports for easier assembly of Ultrasonic sensor and power supply, and legs made of clothes hanger wire. 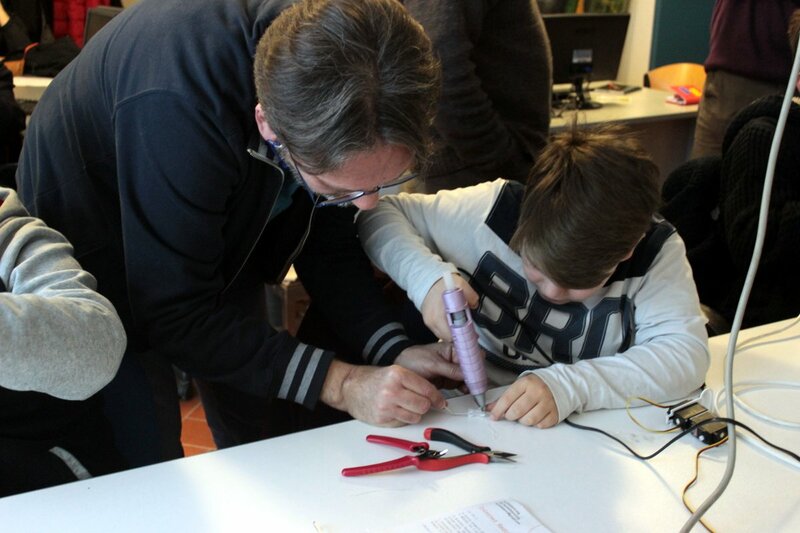 We are going to repeat the workshop as many people were left on the waiting list.